Both presentations were in preparation for the all faculty presentation this Friday, November 4. What do I want to say? What do I want people to see from my images? 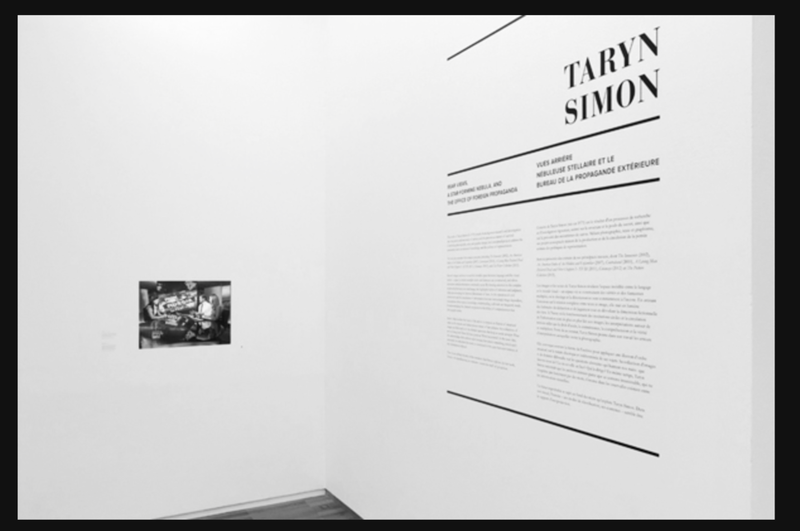 How do I want people to engage / interact with the exhibition? What do I want people to feel / think / take away from exhibition? "Listen with the ear of the heart. in the diction and dedication of the Benedictine orders. Stoking the fire that burns with rich ferocity. and grow plenty in His grace. Vocation is defined “as a strong feeling of suitability for a particular career or occupation.” For some, a vocation may be lived out through the dedication and practice of a specific craft or artist’s medium. For others, a vocation comes from an intense inclination, known as a “calling,” to join religious life. Both kinds call for a level of dedication and devotion as well as meditation and humility. For my thesis, I found myself teetering between the realms of vocation through living and working alongside a Benedictine community of eight women while photo-documenting them in their various domains of work and prayer. For more than three months, I devoted myself to understanding the Benedictine monastic life in its context being situated in rural Connemara, Co. Galway in the west of Ireland. “Ora et Labora,” meaning, “Pray and Work” is at the heart of these women’s vocation: each fulfilling an area of work within the community between the 4 set hours in which they drop everything to pray. The Benedictine lifestyle has change infinitesimally since it’s beginning in the 6th century. The title, Listen, comes from the opening line of The Rule of St. Benedict, a book that holds as much weight and importance to this community as the Bible. Listen is about engaging with the day-in, day-out lives of the Benedictine nuns at Kylemore Abbey while presenting the circulating layers of atmospheres that exist day-in and day-out on the grounds: some overlapping harmoniously while others standing in a state of ambivalence. The historical context of the 19th century castle turned Abbey is a critical entry point into understanding present day functions. Serving as one of the largest tourist destinations in the west of Ireland while maintaining its integrity with an active monastic community is often tricky to navigate. The humble focus remains on the exploration of contemporary monastic life and it’s inevitable interactions with the ‘outside world’ and the presence of time through the physicality of nature and the pervasiveness of age, both within the community and through the disrepair in the castle." This was my first go at writing an artist statement. What is difficult about doing this is how much of my project is still in the beginning or work-in-progress stage. Presuming how it will come together is a good exercise but I found myself struggling a lot with concisely explaining why my thesis matters and what I believe it to say. I want my project to be more than just a documentary account of these nuns. I feel as though my experiences and relationship I've fostered with these women is something much deeper than simply observation and a somewhat stagnant view of a cloistered lifestyle that many people don't often get to see. These women are incredibly intelligent, supremely poised, and outwardly defy the labels and stereotype often equated with religious women in the Catholic Church. But how can I show that without going into a overly lengthy explanation or taking accounts of every way they defy the norm in my artist statement-- the only statement I am allowed to provide my audience to help inform them on what they are looking at and why it matters. What has been helpful about doing this first draft even with many unknown variables is that I was able to look more concretely at the work I already have, the work I have yet to do, and where the gaps are that I need to fill in order to create a unified series. 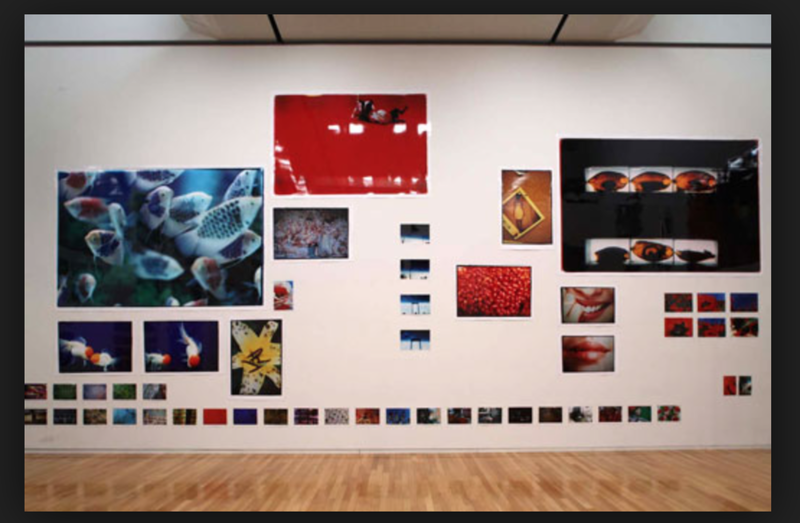 I think moving forward I will continue to focus on honing my thesis statement, that is, solidifying what it is precisely that I want to be communicated through my images, through the exhibition experience, and through my book. By thinking about it in a form of structuring like an artist statement I think I will better be able to articulate myself as an artist and the gravity and complexity of this thesis work that I have put so much of myself in. The feedback I received from seminar was very helpful in reviewing the language and structure of the words I used and how I aimed at framing the statement. When I go back later on to complete drafts of my artist statement I will look at the effectiveness of the quote I used, how much necessity it brings as a prelude to my statement, and if it aligns exactly with what I am talking about. Additionally, I think I will include myself more in the statement, without over using personal pronouns. Highlighting the main themes in my statement while also including a bit of artistry and quirk is important to me and what I want my audience to take away from the statement itself and the series as a whole. Linear timeline showing the day in day out of life at Kylemore Abbey, with concentrated focuses on the nuns at specific times. Beginning of day: morning prayer, silence, empty and serene. Around 10 am: tourists start coming in by the buses and the nuns go to their areas of work (chocolate factory, administrative work upstairs in the castle, soapery, farm, etc.). Noon: Mass in the chapel next to the busy turnstyles and ticket office, some tourists may show up. 2 pm: peak time for tourists, they explore the grounds, the Abbey, the walled gardens, the lakes, the gothic chapel, etc. ; they are visible at every corner. 6 pm: evening vespers and close to closing time of the Abbey. After Vespers the nuns retreat to the farm for their meal and the Abbey ground is left very still and silent again. Though it has yet to be determined how much space each BFA will have in the Snite Museum to exhibit their work in April, it is crucial to my Thesis to begin considering my options for hanging/framing and organization. I hope to include multiple framed images of varying sizes along with either text or audio that will supplement and support the narrative of the images. In addition to these personal sketched I have also researched a few artists that have exhibited photographs and text in a less conventional way that I aim to use to help inform my ideas for displaying my work. 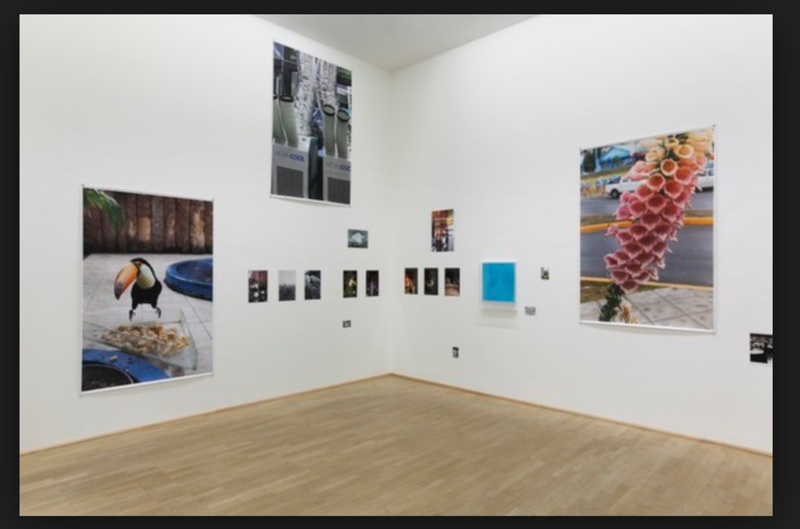 These artists include: Wolfgang Tillmans, Jonathas de Andrade, Sophie Calle, and Taryn Simon. Examples of their displays can be seen below. Nearly 2000 tourist visit Kylemore Abbey daily in the summer season, their peak season. From around 10 am to 6 pm one can find people of many backgrounds and languages milling about the grounds of the Abbey: squeezing past one another in the front rooms of the Abbey, waiting for the shuttle to bring them to the Victorian Walled Gardens, or meandering through the gift shop looking to buy some chocolate or soap Sister Genevieve, Sister Blandeen and Sister Aiden make daily to keep up with gift shop demands. In the past few years, Kylemore has undergone restoration and renovation, mostly to the front rooms of the castle, the walled gardens, and gothic chapel, to accommodate more tourism. The tourism operations remain a separate entity from the Benedictine Community, however, like the partnership they have now with Notre Dame's presence at Kylemore, the community is in working relationship with the tourist board and the Kylemore Trust who manages the profits. The tourism of Kylemore adds a unique layer to the atmosphere of the Abbey that effects the community in many ways. Benedictine life is traditionally a monastic movement that is practiced within a cloistered community. This is interesting to think about because instant when I think of cloistered communities I think of being closed off and separate from society, being a form of sanctuary for those who want to free themselves from the daily evils that fill regular life, allowing for more time and energy to connect spiritually and prayerfully with God. Many convents, abbeys, and monasteries have limited interactions with people outside of their community and often forbid laymen to enter many areas of their community life and the grounds. The grounds are supposed to be a sacred space. Though the grounds at Kylemore Abbey do indeed exude the essence of sacredness, I can't help but wonder if it is at all tainted by the fact that tourists enter this space 364 days a year (Christmas day being the only exception). I also can't help but wonder if the nuns find it challenging to navigate their daily work and prayer on these grounds knowing tourists are milling about typically just a handful of feet away at any moment during the daytime. Besides for Sister Noreen, who often sits at a table in one of the roped off renovated rooms greeting all passersby, the nuns seldom interact with tourists, unless they join for Mass or Vespers, which even then is not direct interaction but rather just being in the same room praying with one another. This ambiguous and often ambivalent overlap is something I intend to look more closely at as a layer of Kylemore Abbey and a facet that intervenes with the Benedictine life. When I return I intend to ask the sisters more questions on how the tourism came to grow and how decisions were made to expand the tourism and allow for people to enter the grounds and how they feel their life has been impacted by these decisions. I can guess that most of the nuns will say that it is not harmful or negatively impactful on their prayer and work life and they probably welcomed the idea given the historic richness of Kylemore. Regardless of whether the nuns feel any sort of impediment or alteration of their prayer and work as Benedictines, the tourism of Kylemore makes this Abbey unique and out of the ordinary when researching contemporary Benedictine communities. I spent three months this summer living at Kylemore Abbey, an active Benedictine Monastery and the site of the new Notre Dame Centre that serves as an extension of their Global Gateway in Dublin. Situated in the heart of Connemara region, I found myself in the midst of contemplative life that was emphasized by the mountain range, known as the 12 Bens, that surrounds the Abbey on all sides. Landscape-wise this atmosphere was a dream to photograph and I found myself constantly running around trying to capture the looming yet quickly moving cloud covers and setting up time lapses to show how sudden and rather extreme the weather often became in this region. My main purpose for being at Kylemore was less about the external beauty of this castle, however, and more about the internal beauty of the various layers of rooms and passages in various states of renovation or sheer disrepair. In these beautifully aging rooms were my subjects– the Benedictine nuns at Kylemore Abbey. My thesis work, which I began there this summer, is compilation of photos documenting the life and work of the eight Benedictine nuns that reside at Kylemore. Their mantra, Ora et Labora, meaning "pray and work" was a very important saying that I try to reflect within my photos. I shadowed them on their daily routines– be it working in the chocolate factory or soapery, or inspecting different aspects of the building needing repairs, administrative work, and participating in their hours of prayer (morning prayer, noon mass, and evening vespers). This was a truly magical experience and I am beyond grateful that the Benedictine community were opening to sharing their lives and work with me this summer. The essence of maternity and love is palpable at Kylemore Abbey and not something I will easily forget. Though I left Kylemore at the end of the summer with hundreds and hundreds of photos to sort through, my thesis was far from feeling finished, and often times I feel as though I left after the three months having not accomplished establishing a consistent and steady relationship with the nuns that allowed me to capture intimate moments more freely because of their comfort with my and my camera's presence. My internship through the Notre Dame Centre was equally as rewarding as my own thesis endeavors, but often times left me more busy than I had expected... well, left ALL of the Notre Dame Centre at Kylemore staff more busy than any of us had expected given this was the very first summer of its operation and we typically had a full house nearly every week. Many kinks and missteps were worked out in the process but this Centre was certainly a labor of love. With all of this being said, I am happy to have been given permission from head Abbess Mother Maire to return this winter to photograph them as a volunteer for the Benedictine community. This means that my interactions with them will not be limited by the rigor and scheduling of the Notre Dame Centre and will allow me to have complete access to their daily live as I will quite literally be working, eating, and praying along side them as their volunteer. I am very excited and honored they feel comfortable allowing me into their homes like this and I look forward to continuing my friendships with each and every one of them. This will also be important because it will also allow me to gain insight into their lives at the farm–where the majority of them reside just down the road from the Abbey. Meals are very important to Benedictine life so it will be an equally educational and spiritual experience to be apart of. As winter break nears I will continue to sort out and select crucial photos that will be highlighted in my final exhibition, be it in the book or framed and hung on the wall, as well as analyze important texts–such as literature and poetry by important Irish, Female, or Religious literary figures that I have gathered to reflect upon my experience– and the interviews I conducted with many of the sisters. My hope is that by winter break I will have sorted and determined the layers of images I will use, which will be featured in the book and which will be framed and hung, and where my biggest gaps are that I feel I will focus on capturing when I return to Kylemore in late December. Seizing Beauty is an exhibition of art by photographer Paulette Tavormina currently on display at the Snite Museum of Art. Her still lifes are largely influenced by her background in Art History and bare striking resemblance to Dutch Golden Age master paintings. Her sense of color and eye for dramatic lighting make these images one of a kind and absolutely remarkable. What I loved most about her talk is how she pays homage to her journey in life that lead her to exactly where she needed to be later on in order to find inspiration for this series of work. Though she has always had an affinity for photography, Tavormina started off photographing for auction houses and then made the transition into working on films as a prop master. Her love of knick knacks and collecting antiquities made her a perfect fit for managing props on Hollywood film sets. This part of her life allowed her to travel and gain experience while also keeping her creative and always collecting. This love for collecting items eventually made its way into her photographic work and started something that would set Tavormina apart from many of her contemporaries. Her artwork displays her meticulous eye for detail and her undeniable taste for high quality, vibrant images. She's been commissioned by chefs to create artwork for their cover as well as companies such a National Geographic which have featured her still lifes on front covers. It was evident Paulette Tavormina probably hasn't done much public speaking on her work as her speech was unrefined and at times a little off topic. However, her sentiments and articulation on the inspiration and ideas that drove her work came across clearly and overall her speech was enjoyable. I felt as though I benefitted from attending her talk, especially because she is a photographer who took various twists and turns to get to where she is today that may not be considered the most conventional route (in terms of how the photography industry is concerned) but just as, if not more, fruitful and meaningful to who she is as an artist and photographer. I also found her exhibition display in the Snite as well as the presentation and design of her hard cover book to be very helpful for me and how I visualize my own work, in regard to my thesis, being displayed, hung, framed, and printed. These are some of the ideas thrown out in group discussion during class when I introduced my thesis work. Two core themes that will be at the center of my thesis are the role of the Female in Catholic religious life and the idea of living a vocational and where vocations can be seen in similar lights, particularly in the light of an artist's vocation and the light of a religious vocation. There were a few discussion points I found to be helpful in considering not only the content of my thesis but how I will display and present it: creating a consistent grid and font and having other design continuities in the book form of my Thesis, focus on the text and how it will not only act on its own but compliment the photographs as well as how they will be grouped together, do more research into portraiture photography and ethnographic photography and how these two genres can work cohesively, look at more literature especially female poets, female catholic writers, and writers that focus on artist and religious vocation. The first order of business that I will go forward with after this discussion will be researching more literature and focusing on the writing component. After that I will research portraiture and ethnographic photography and eventually get to the design elements. There are a few different paths I have gone down in search for inspiration and research. The most obvious was drawing from other photographers who have either photographed similar subjects or have a specific aesthetic and composition that I admire and relate to. Two of the photographers I have drawn from most are Jackie Nickerson and Alec Soth. 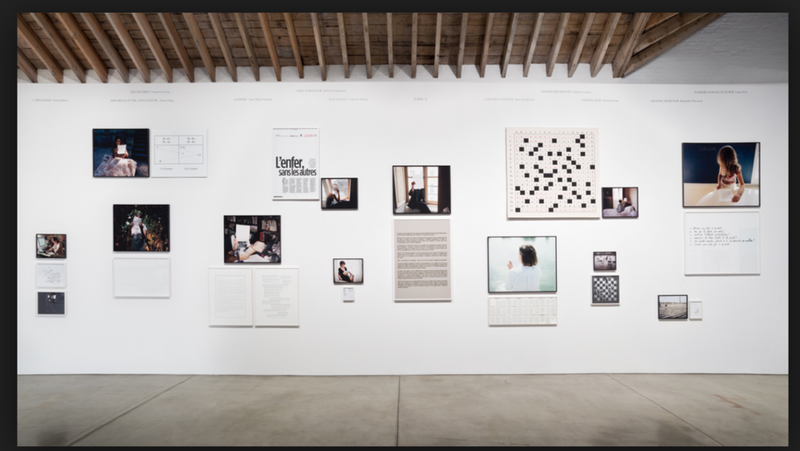 Both teeter on the edge of fine art and documentary/photo-journalism and both display their work as individual pieces as well as collectively in a photo book. Jackie Nickerson's series 'Faith' is her documentation and portraiture of a monastic community in Ireland, not dissimilar in most regards to my own endeavor this summer in Ireland. 'Faith' served as a informative template to how I envisioned my time and efforts this summer at Kylemore, though I try to keep my own aesthetic and themes in mind that act as a key difference between my work and Jackie Nickerson's series. Alec Soth's muted colors and candid, raw portraits are both intriguing and emphatic. He captures the essence of these characters yet creates a unique distance that is palpable between himself and the subject. His color manipulation is soft and aesthetically pleasing to the eye. Beyond my research within the realm of art I have also delved into researching within the fields of anthropology, theology, literature (mostly of Irish and Religious topics), and political science. Anything from scholarly articles by anthropologists about contemporary Benedictine communities to politically charged documentaries on the Catholic church have been used to inform my thesis and help conceive a variety of ideas I wish to communicate. To highlight one piece of outside research that I have found to be important to my thesis is articles written by Anthropologist and Cambridge professor Richard Irvine. Irvine has spent many years studying and conducting fieldwork on English Benedictine Monasteries. His articles explain the fundamental essences of Benedictine life (i.e. looking in depth at The Rule of St. Benedict and what the key elements are of the Benedictine identity) and the experience of being a "peripheral participant" given he is going about the daily life of a monastic monk without the actual commitment of being one. These articles not only helped with the articulation of the similar sentiments I felt during my time at Kylemore Abbey but also provided me with critical information on the background of Benedictines and a farther reaching spectrum on the history and ideology of these cloistered community and how they function in today's climate. Though I feel like I have a good beginning to the groundwork that will eventually shape and modify my thesis I feel as though I still have so much to uncover and much more research to navigate through in order to truly hone in on my themes and ideas that I want to tell through my images and text that will end up in the final product of my thesis.